A more harmonised tax policy across Europe has long been a dream of pro-EU forces in Brussels and recent scandals have regenerated Brussels’ desire for an easier way to pass legislation across the bloc. The European Commission, the EU’s executive arm, said it will launch a debate with member states on allowing new EU tax laws to be approved by qualified majority rather than unanimously. “Times have changed! 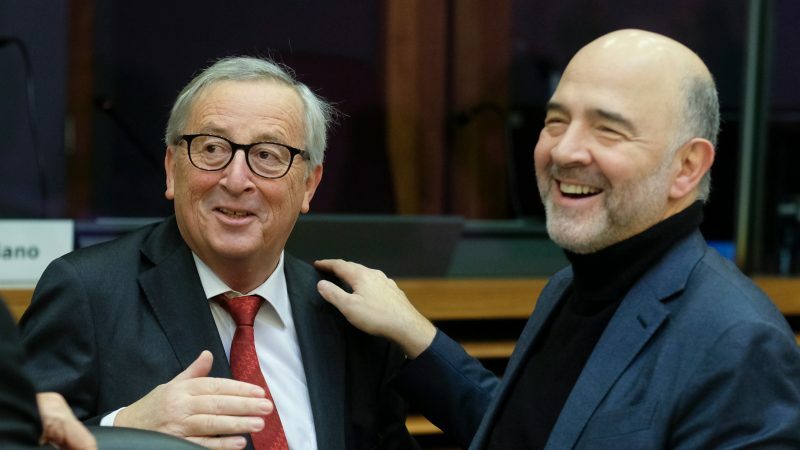 Holding tight to unanimity to protect national tax regimes … is based on myth, not reality,” Economic Affairs Commissioner Pierre Moscovici told reporters at the European Parliament in Strasbourg. Taxation and foreign affairs are the last bastions of EU law-making that still require a unanimous vote by member states. Weighing on the Commission is the quest for ambitious tax measures, such as an EU-wide tax on US tech giants, which have failed to become European law given the slightest opposition. The EU digital tax, backed by France and Germany, has fallen foul on the opposition of Ireland, Sweden and Denmark. Another proposal to tax financial transactions across the EU has languished since 2011, with even a tighter group of member states unable to agree their own more limited version. Moscovici, a former French finance minister, acknowledged the need to defy knee-jerk opposition by member states. “We do not want to trigger ‘Pavlovian’ negative reactions… This debate should allow the Commission to make the case for a reasonable, cautious and, hopefully, unanimous way forward,” he said. His comments were echoed by German Finance Minister Olaf Scholz, who urged member countries not to “reflexively” dismiss the discussion. “Citizens expect Europe to be able to act. That’s not a loss of sovereignty, but a prerequisite for being taken seriously at home and in the world,” Scholz said in Berlin. But Ireland swiftly rejected the idea. Dublin “does not support any change being made to how tax issues are agreed at EU level,” a government statement said. This was in reference to a clampdown on corporate tax laws EU-wide after the Luxleaks and other scandals exposed the lengths to which multinationals and the super-rich will go to escape tax. These laws closed legal loop holes offered by countries such as Ireland, Luxembourg and the Netherlands that provided major companies with low tax bills. Commission with this proposal is undeminig EU. With this proposal Commission wanst to establish in equality of member states in EU what is against Lisaboa treaty. smaller EU member states will not accept it but any how this is just another nail in EUs coffin.